Each year I eagerly look forward to Olbrich Botanical Garden‘s hottest new art display taking place at night. They really outdid themselves this time. Here is a map of all the art installations, more than ever this year! For the first time, there are displays inside of the Boltz Conservatory. This display cycles through all the colors, just like the lights lining the inside of the conservatory. Next I went outside to see those displays, the tree outside was raining light! There is now a bar outside so you can enjoy an adult beverage while enjoying GLEAM. There was a surprise around every corner, I especially liked the columns on either side of the entrance to the Rose Garden, there were roses rotating around inside. Loved the rainbow brick path. Projected onto the path in the grand circle were messages, and butterflies flew through them. New this year were lighted panels with a description of the displays. This one was really neat. The star shower light made for a ghostly appearance of anyone standing under it. This one was a little hard to take a picture, video is better. This one was pretty too. I am finishing my journey through the gardens, looking completely different from in the day. As a member, it is $11 to come to GLEAM, 14 if you are not. You can become a member at Olbrich at this time for a discount and save on future events, coupon is on GLEAM guide. I look forward to next year! Paoli is the happening place to be for fall festivals. The colors were peaking now, especially by the gazebo. We heard music nearby behind the old mill, sounded like one of our favorite kind of music, the Blues! It was coming from The Hop Garden outdoor stage in the backside of the mill. The sign was out near the street, they also had a Chili contest contest, good on a cool day like today. The wonderful music we were hearing was being performed by Old Black Joe And The 3rd Rail Sparks Blues Band. They are regulars here, performing most Thursdays between 6-8 PM since 2014. Let’s listen in! We also enjoyed lunch at the Paoli Brat and Bread Haus. We had the Chicken Pot Pie, very delicious! We enjoyed the music at The Hop Garden while we ate. The Cherry Pie A la Mode was wonderful too. Owner Cherri Bell makes everyone feel like an old friend upon meeting. Thanks for the great lunch in such a festive atmosphere! Quite an enjoyable afternoon was had by all, we took a stroll up the street to check out other fall scenes. The Paoli House Inn had many pumpkin sculptures out front. The Paoli Schoolhouse Shops & Café stood out against the grey skies. Paoli Secret Garden has the perfect item for you or for a gift. Paoli is beautiful any time of the year, stop in for a fun relaxing day by the Sugar River! Big Ship, More Fun! Sail Across Lake Michigan on the S.S. Badger Carferry! The time has arrived for our Michigan vacation to begin! We decided to take the S.S. Badger Carferry from Manitowoc to Ludington since we never had before and it looked like fun! Since we were only sailing one-way, it cost us $201, including our two bikes. 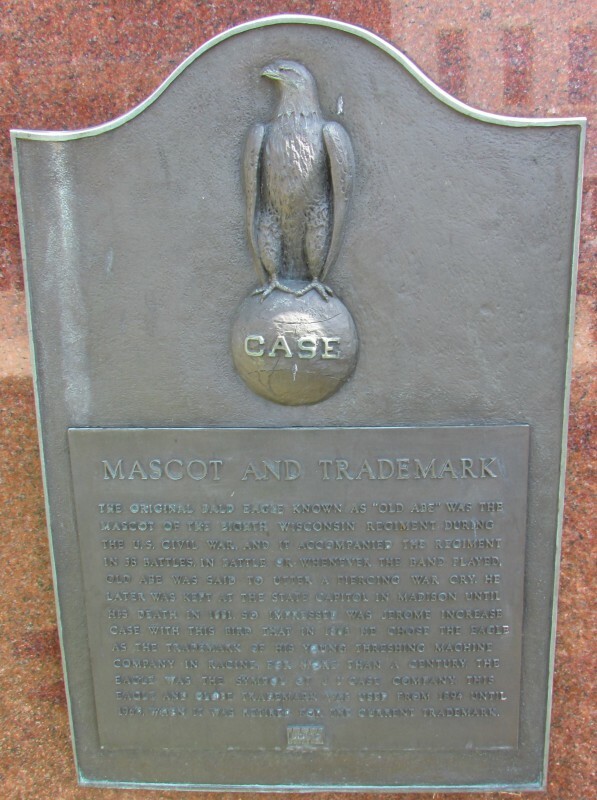 There is a two-sided historical marker here, as the Badger is a national historic landmark too. We arrived early to see the ferry’s arrival from Ludington and put our vehicle in the loading zone. There was an air of excitement among the passengers while we waited to board, as many of us were sailing for the first time. Upon boarding, we got our picture taken by a ship wheel as a memento of our experience. After leaving port, we set about exploring the passenger areas of the ship. See map and amenities here. Our view from the port, or left side of the ship. You can see the Wisconsin Maritime Museum and the Cobia sub from here. We even saw a tour going on there, like we did a few years ago. Also, enjoy the video of our 4-hour journey across the lake. There is something for everyone here. Lets explore the ship, there are many areas to see on board. Upon boarding lunch was being served at the Upper Deck Café, lots of dining space just beyond the stairway in the Cabana Room. If you want to eat, be sure to get your food before 4 PM Michigan time as they have to get things put away before reaching port. Adjacent to a TV lounge is a rack of Michigan and Wisconsin publications to help you plan activities on the other side. Also the latest issue of Crossings, the official annual magazine of the S.S. Badger. Just up ahead is the main lounge where a rousing game of Badger Bingo was taking place. It’s free to participate and there are prizes. We opted out to explore the ship instead. We also met Issac, an expert juggler who also assisted with the bingo game. Great job Issac! In the lounge the man is looking at a screen showing where the Badger is located on Lake Michigan. Other ship locations are visible too. Remember to change your watch after crossing the state line. Here you can also get some food a la carte at the Badger Galley. The ship also has two bars where you can get a drink, this is the Port Side Bar in the galley dining room. Topside near the bow (front) of the ship is a large sun deck plus plenty of room to sit on either side of the ship if you want to be outside. You can see the bridge (Pilot House) right above you here. Inside the ship there is much more to see and do. A video arcade for the game players. A movie theater, it was playing a kid’s movie at the time. You can get a souvenir at the Badger Boatique, from apparel to knick knacks and toys. You can order some items online too if you don’t get anything during the trip. Explore the ship museum/quiet room to learn about the ferry and other great lakes history. After exploring the ship we went back out to the upper deck. At 5:20 Ludington was becoming visible! You can see sand dunes and a distant light station. We could see another light house from here distantly, another passenger informed us it was the Big Sable Point Light in Ludington. It is 8 miles from downtown. At 6:17 PM we went by Ludington’s North Breakwater Light at Stearns Park. Plenty of people waved at us as went by. Plenty of people at the opposite light station too warmly greeting the ship’s arrival. People even waved from the yards of their homes, sitting in lawn chairs. The ship turned as it prepared to dock. Most people were in the aft of the ship watching the process, it was fascinating! We docked by 6:30. The big trucks came out first, we saw one full of red apples! Another truck had green apples. At the same time, the Badger food supplies were being re-stocked by a truck from below, very creative! We saw a two-sided historical marker at the ticket office. It was time to go to Manistee where we were spending the night. We recommend this ride for anyone wishing to cross Lake Michigan. It’s true, “Big Ship, More Fun!”™ Welcome to Michigan! 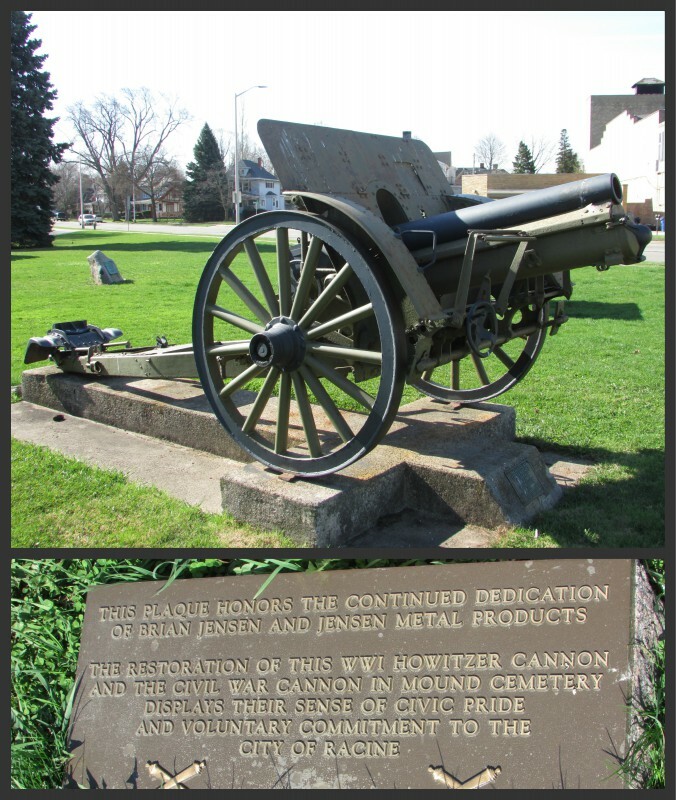 Fort Atkinson is a city of of over 12,000 with a proud history. Fort Atkinson was built around the site of Fort Koshkonong during the Black Hawk War. It was also named after General Henry Atkinson. The site has a marker, a monument and a cannonball. This is the historic Eli May House on 407 East Milwaukee Ave, built in 1866. This is a peaceful community now with many activities for visitors and residents to enjoy. Our first stop on our November visit was to Evergreen Cemetery to see the Bellman Carillon Tower and Veterans Memorial. The Chamber of Commerce is another great place to stop for info on Fort and the rest of Jefferson County. See their video. We headed downtown to see other historic sites and markers. Nearby the Eli May house is the historic water tower. During the summer you can climb the stairs to have a good view of the city. Here is a view provided by a previous visitor. Long before Europeans lived here, Native Americans did. The have many mounds in this area. There is a marker and a partially-preserved VERY rare Panther Intaglio on 1228 Riverside Dr. You can see it here. A famous poet also spent most of her life here, Lorine Niedecker. We found where she lived at Blackhawk Island near Ft. Atkinson. The larger house near the Rock River is further down the driveway, we didn’t trespass to see it, just zoomed in. Fort Atkinson also has a re-creation of their original Fort Koshkonong and stockade at Rock River Park. It was built between 1966-68 and hosts the Koshkonong Rendezous on Saturday of Memorial Day weekend. We went on May 28, 2016. Another historical park we visited in March was the Jefferson County Indian Mounds and Trail Park. Be respectful of the mounds, as they are burial sites and to please stay on the marked trail. See map here. Bring your bike along or take a walk along the Glacial River Bike Trail. Take a break at the depot/shelter. This is part of the Rails to Trails programs to convert old rail lines to recreational trails. 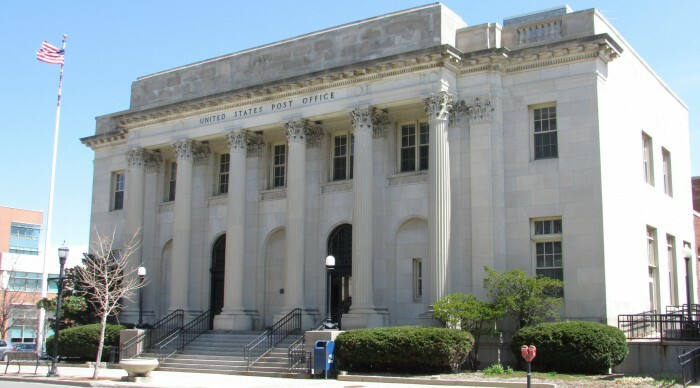 Fort Atkinson is also host to many businesses that provide good jobs and a fun night out. On our 2015 visit we went to Capn’s Roadhouse for lunch. It was Veterans Day and since Al is a Navy vet, he got a free steak dinner! The restaurant is close to the high school, on the grounds is the historic bell that was part of the first high school building. It is in a semi-protective structure. When we returned in May of 2016, we enjoyed lunch at Fat Boyz. A friend of mine recommended them for their chicken strips and he wasn’t kidding! We ordered one chicken strip basket and we couldn’t even finish it. Great value in a friendly atmosphere, a place fun for the whole family! 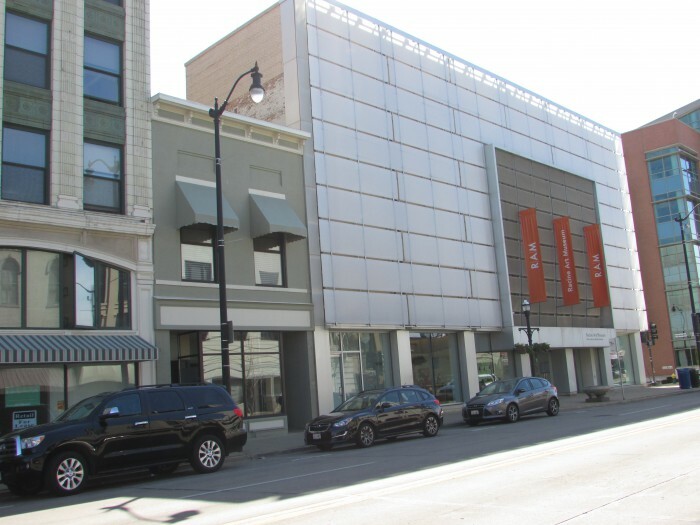 A great place for shopping is Nasco. They have discounts on toys and much more. I couldn’t help myself, I got a Duncan YoYo. Jones Dairy Farm is also a major employer, I see their products in my local grocery stores all the time. If you like live theater, The Fireside is a favorite destination for Wisconsinites. We have not yet been there yet, but we plan on it. You get dinner before the show for a complete evening out. This a family business, the 3rd generation has now taken up the reins to keep this popular tradition going at Fort (what the locals fondly call their city). 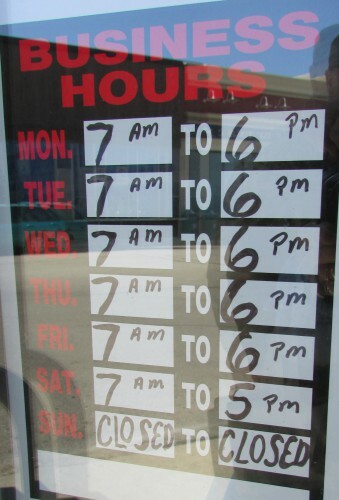 They also offer Friday Fish Fry for just the food and no show. If you just want something light, Beauty and the Bean is a friendly place with great coffee. The “beauty” part is the salon adjoining the coffee shop. The VFW Post 1979 is open Fri-Sat-Sunday only. They have a Sunday brunch. A new restaurant opened up on the Rock River downtown in Nov. 2015, Brook’s River Walk Tavern and Grill. Enjoy a stop at Tuttle’s Pharmacy, open since 1931. Their friendly service can’t be beat either and are are ready to help with your prescription needs. There are many unique gifts ideas too. Across the street is Catfish Alley, between two buildings, beautiful art work! One place you need to make time for when you visit is the Hoard Museum and Dairy Shrine. We stopped there in November and didn’t quite complete our tour. We returned March 18 and saw the Dairy Shrine portion that we didn’t see before. Behind the museum is the largest Intersectional Peony Garden in the country. On Saturday June 6, 2015, Fort Atkinson was officially declared “Intersectional Peony City of Wisconsin”. On May 28 of 2016, we had a chance to see these beautiful flowers in bloom. 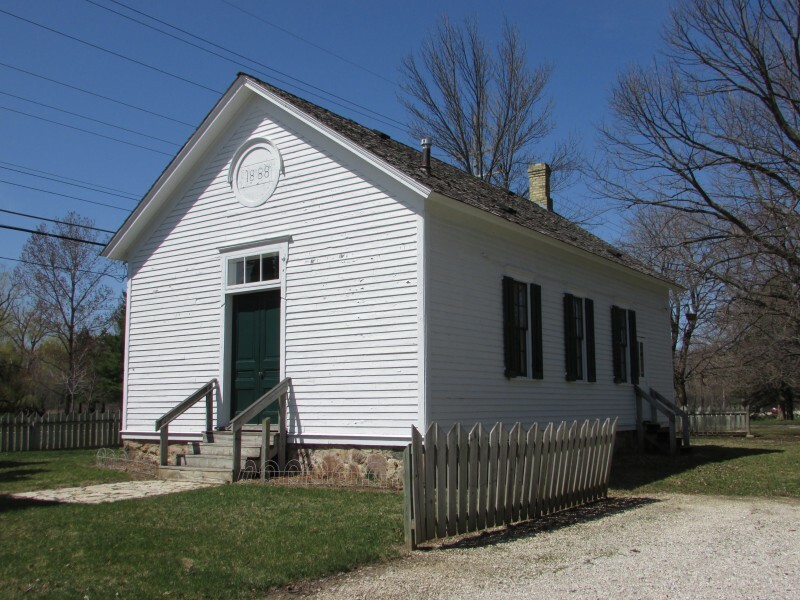 Fort Atkinson is a very interesting community and we plan on returning as often as we can. We realized how much of Milwaukee we still have not seen, and decided that taking the free tour of the MillerCoors Brewery was just the thing on a snowy winter day. In this picture you can see the large silver tankards where the beer is aged for three weeks. The tour is for one hour, be prepared to take stairs and walk to several buildings. Register at the front desk when you arrive. Good info to know before beginning the tour. A photographer was there to take our picture and had some props to make the picture even more memorable. We would be offered a 5×7 and 2-4×6 print, a bottle opener and a can cozy at the end of the tour for $20. We got it, such a fun memento of our visit. We were on the first tour at 10:30, and it turned out to only be the two of us. Leah was our guide, she gave us the VIP treatment! The tour began with a 10-minute film in the theater describing the history of the brewery. After that we went to the first building where the beer is made. Here we could also see the conveyor belt rolling with filled cases of beer. We went down to the lower floor of this building and saw it is also a vast warehouse for all the beer. Would you believe all of this will be gone by the next day? Most goes to Chicago with the rest points elsewhere. It is the size of 5 football fields placed side-by-side. Here are some stats. We went back out and crossed the street, going under the bridge where you could see beer going across on the conveyor. It was time to see where the Fermenting Room. Copper tankards were on the upper level and the silver-colored ones were below. After this we walked further up the street to our last stop, the Historic Caves building where the beer was chilled before refrigeration. There was also a historic marker on the building. We went into the hushed darkness of the cave, gently lit on either side but still allowing for night vision. It was beautiful, and there was a mural painted in the back. In here were were also paid a visit by Frederick Miller himself, via a projection on the back of the cave. Very cool! The tour was now finished, we then went to the tasting room. Al did the tasting since I don’t drink beer. Thanks Leah, we really had fun! While we were there we got our photo that we had taken at the start of the tour. Our first silly selfie of the year. We really had a good time here today. Since there is not a restaurant on site, we went .7 miles away to Saz’s State House for a great lunch. It’s always Miller Time™ in Milwaukee! 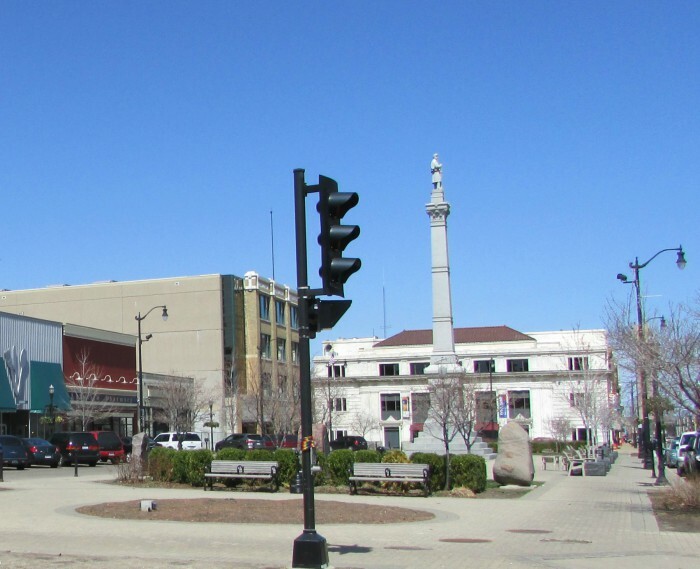 Also known as America’s Kringle Capital, Racine is one of the many beautiful Wisconsin Harbor Towns on the shore of Lake Michigan. We didn’t waste any time acquiring one of the delicious Danish pastry. We entered Racine on the west side and made our way to Bendtsen’s Bakery, providing Kringles to Racine for four generations, since 1934. 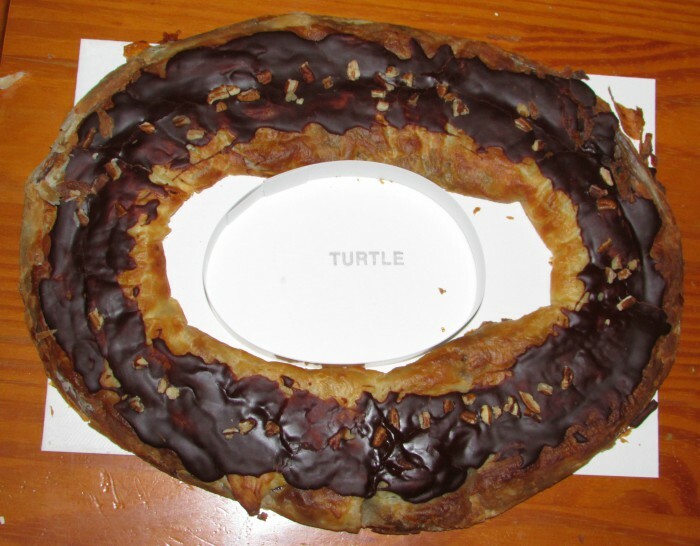 We enjoyed the Turtle Kringle. They ship too! 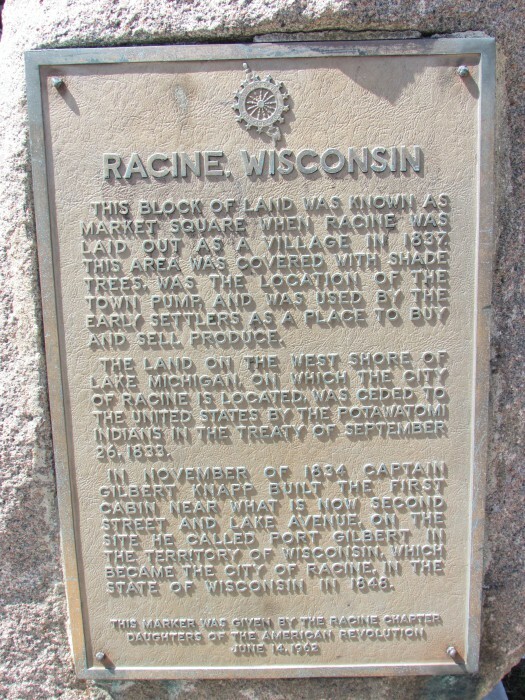 Racine also has a statue unique to the state, if not the country. 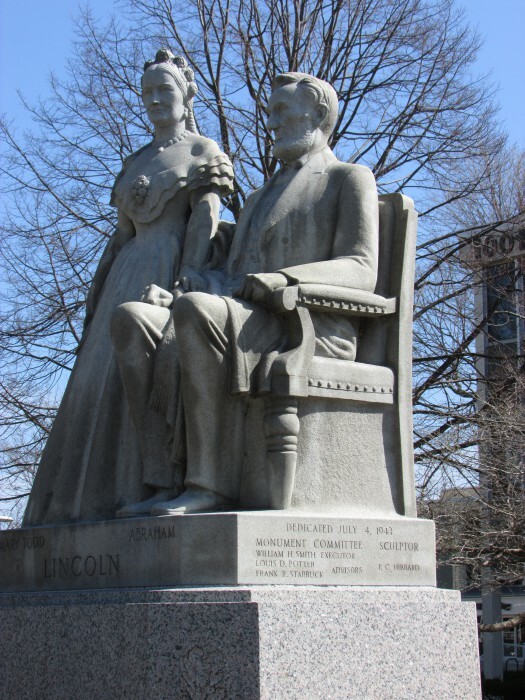 On the grounds of Gateway Technical College is a statue of Abraham Lincoln and his wife Mary Todd. It depicts them before he became President. Mary Todd had been in Racine in June 1867 to see Racine College, which had been recommended for her son Tad. A very important service protecting ships and boats on Lake Michigan for over 100 years. The one below is managed by the Coast Guard. 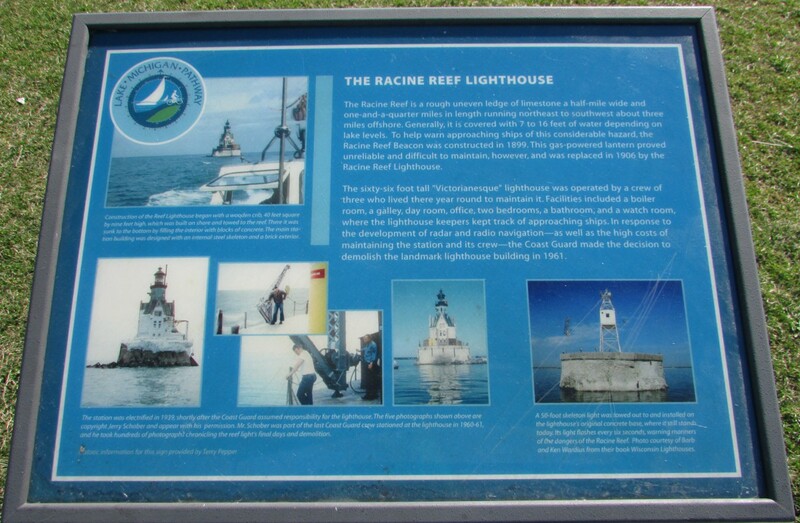 The Racine Reef Lighthouse is also equipped with a warning horn, protecting boaters from a limestone reef in the area. Here is what is sounds like. There is also an info board telling more about the light station. 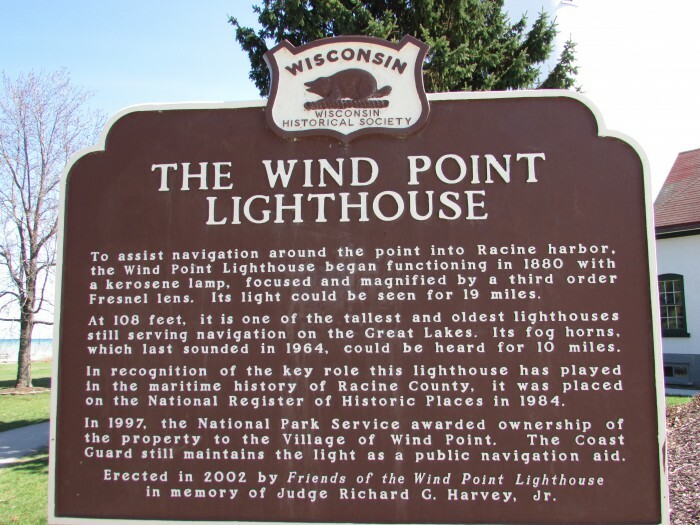 Wind Point has a marker and a museum open during the summer. 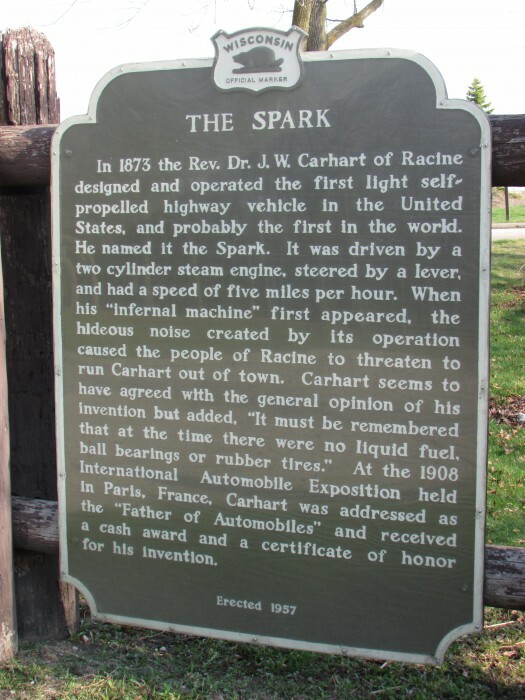 Racine’s history has been well-preserved for all to enjoy. 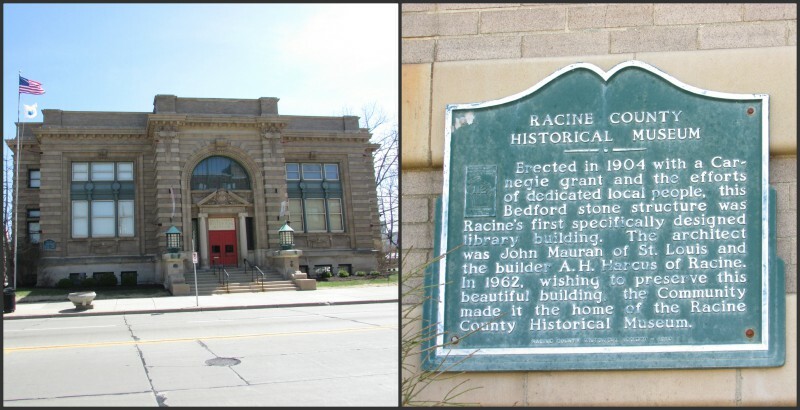 The Racine Heritage Museum is a great place to learn more. 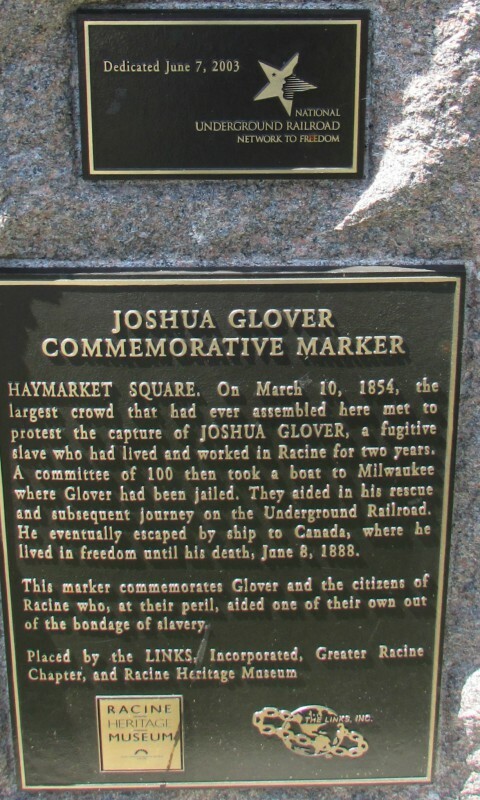 In Monument Square you will find many markers telling of Racine’s early history. Also a Civil War monument in the center. It’s noon! St. Luke’s Episcopal Church is ringing it’s bells. The whole downtown was chiming in fact. We ate a meal at three restaurants and got a snack at another place during our visit. 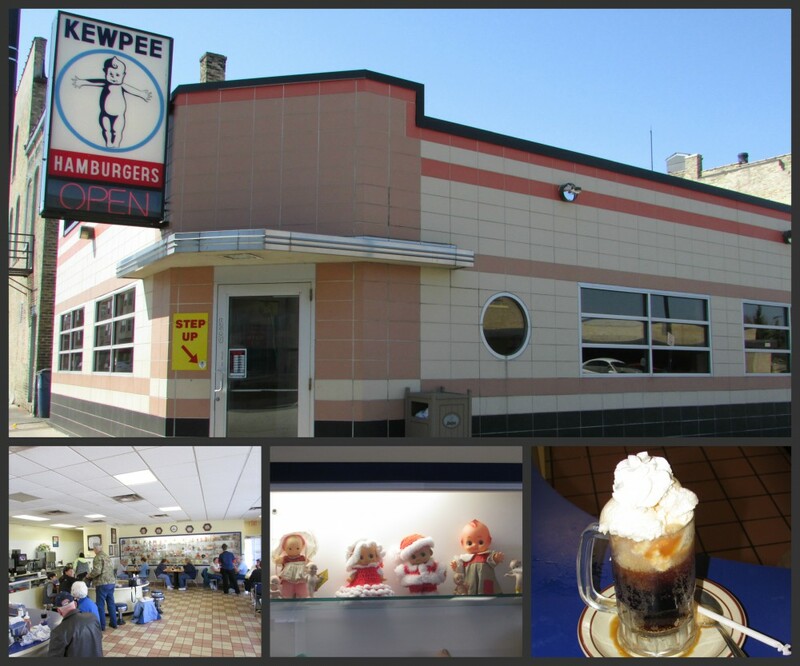 Lunch on Saturday was at Kewpie Lunch, open since the 1920’s. Yes, the theme is Kewpie Dolls. They have great food too! 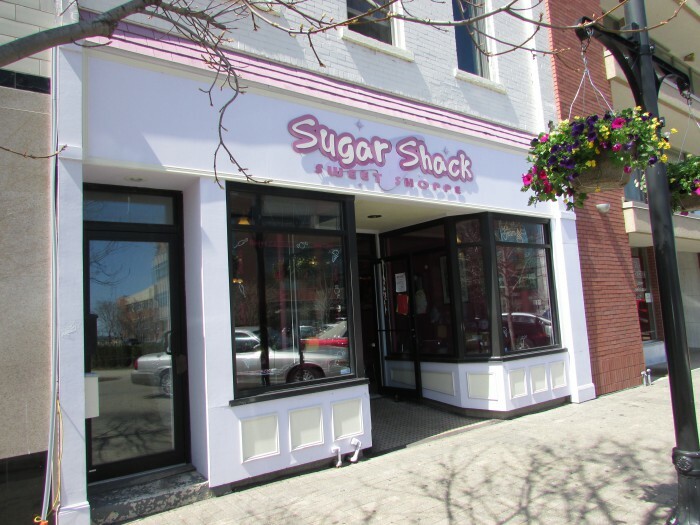 Got a snack at the Sugar Shack Sweet Shoppe in Monument Square. 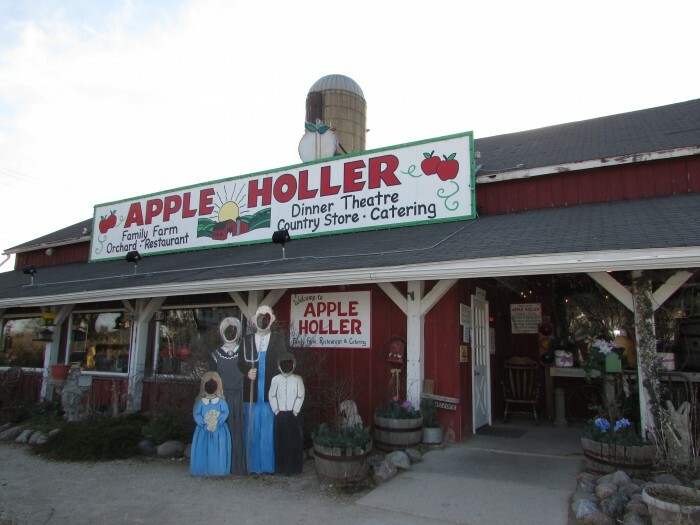 We had dinner at Apple Holler, with a country theme. Lots of fun with many activities for kids and adults alike. Wonderful food there too. 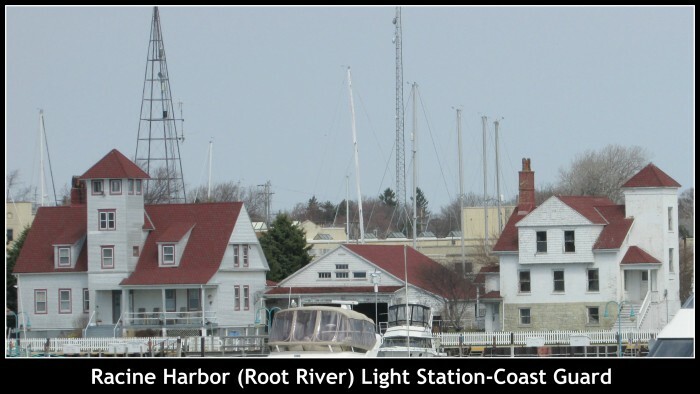 On Sunday morning, we enjoyed brunch at Reefpoint Brew House, quite a nice menu there and a view of the Marina from the large windows. 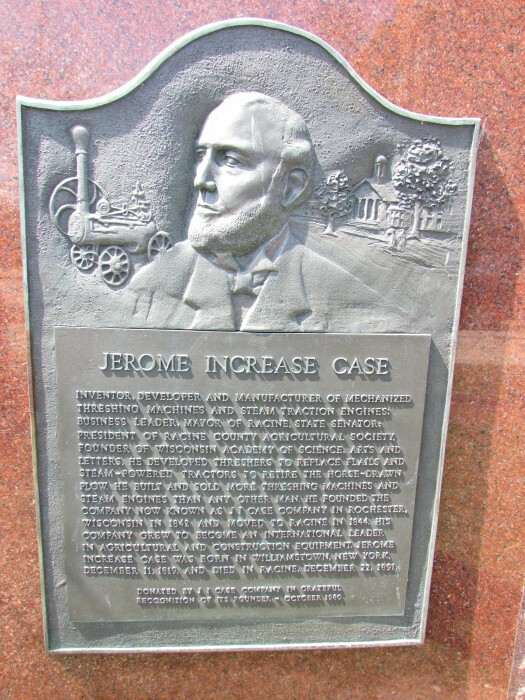 He had a large presence in Racine, including company buildings. There is one house designed by him, the Hardy House. 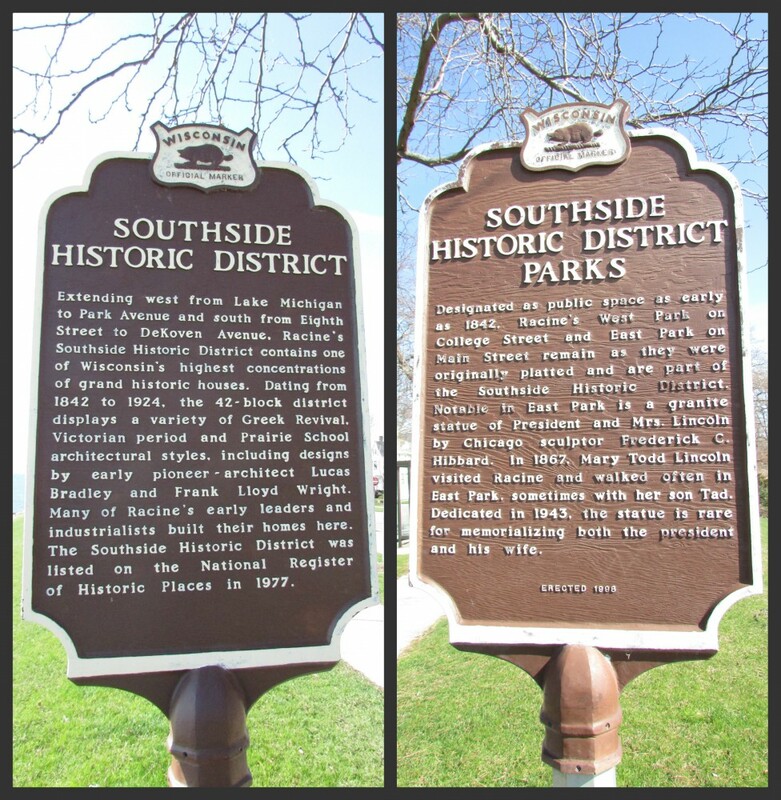 It’s located in the Southside Historic District. Also Wingspread, which we took a free tour of! You have to book this tour in advance. S.C. Johnson and his family lived here originally. Due to high demand, we scheduled our tour about a month before our trip. 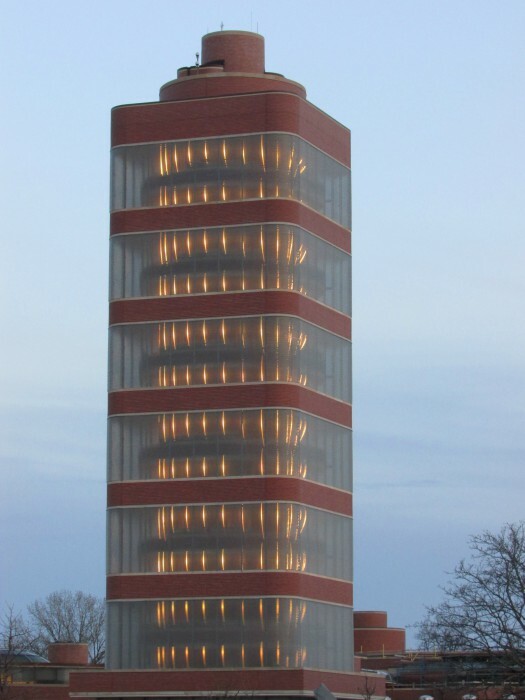 You can also book a tour of SC Johnson Research Tower as well, they are just five miles apart. The tower looks beautiful at night! Book your tour(s) here. Also on the site is the beautiful Golden Rondelle Theatre and Fortaleza Hall, where a Sikorsky S-38 amphibious aircraft is displayed. 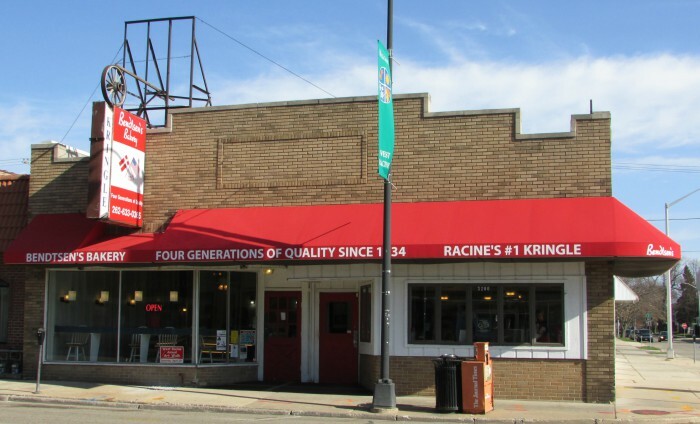 We had been to Racine before, but it was all the way back in 1998, before we were married. We were very active scuba divers back then and we took a dive in the quarry here. 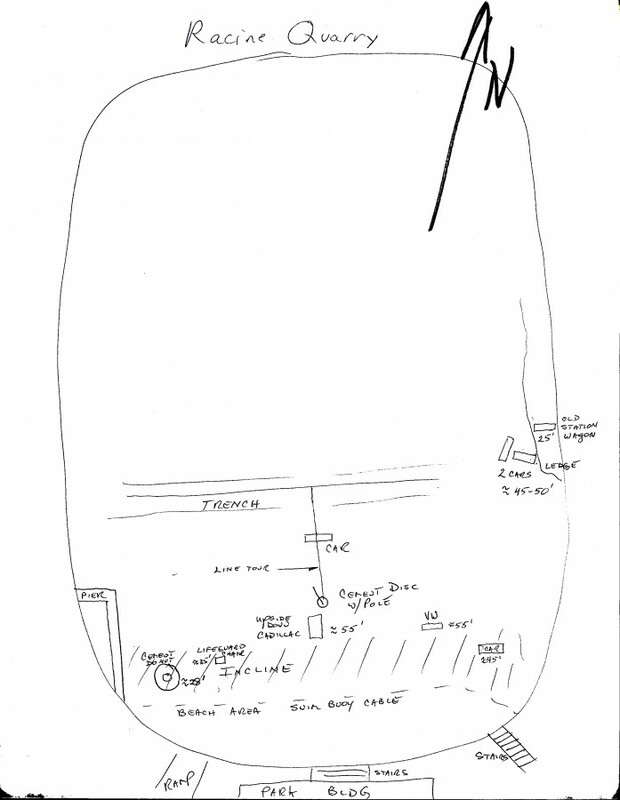 We got a sketch of what you can find underwater in the quarry, facing north. 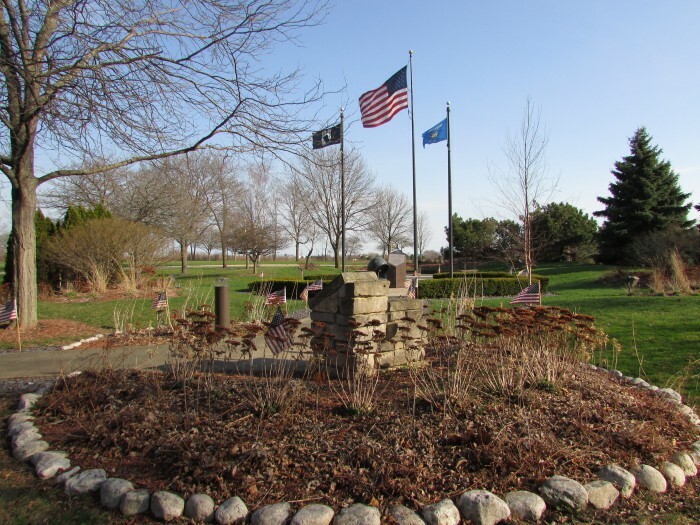 At this park is a Vets memorial and a historical marker as well. Across from Mound Cemetery (where we also visited), George Washington and other soldiers are honored. A cannon is also at the park. At Mound Cemetery, we saw a marker commemorating Revolutionary War soldiers buried there. 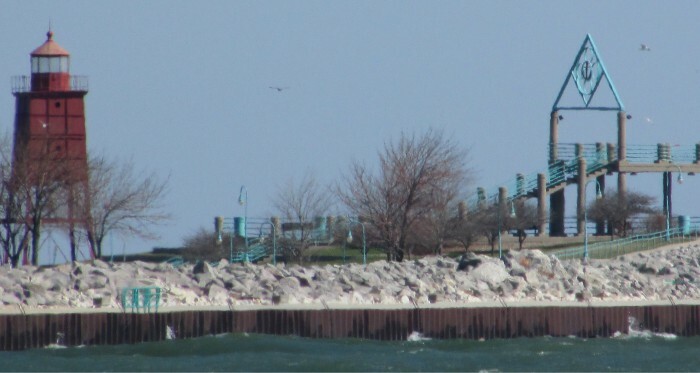 Over by the lake and Marina, this park has a walking path along the lake, plus an elevated platform where you can see both the Breakwater light station, the other one across from it, and the Racine Reef lighthouse as well. You can eat at the Reefpoint Brew House too out by the Marina. 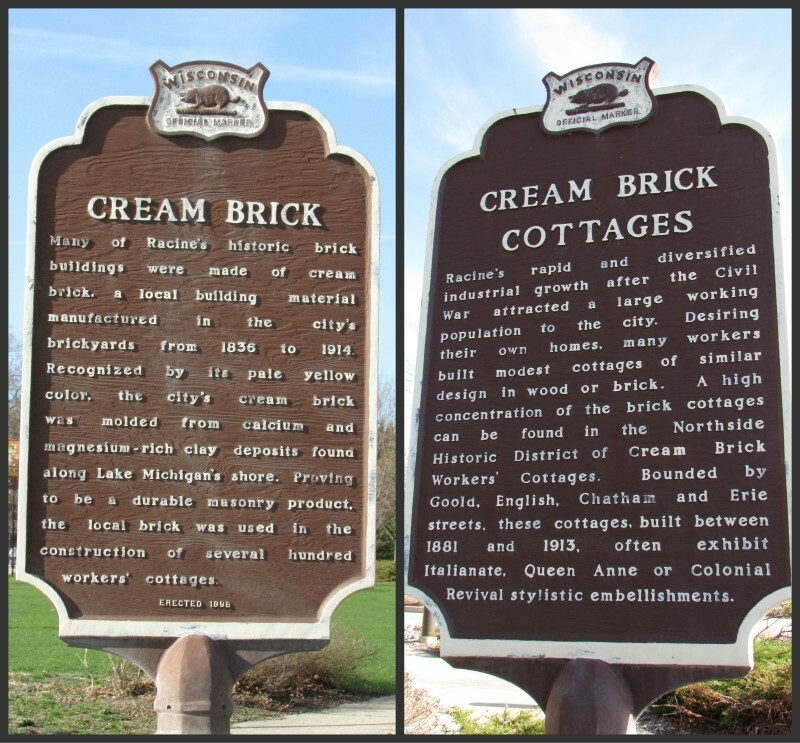 Near the Racine Zoo is another marker (2131 N. Main), describing the cream-colored brick that many of the buildings are built from. 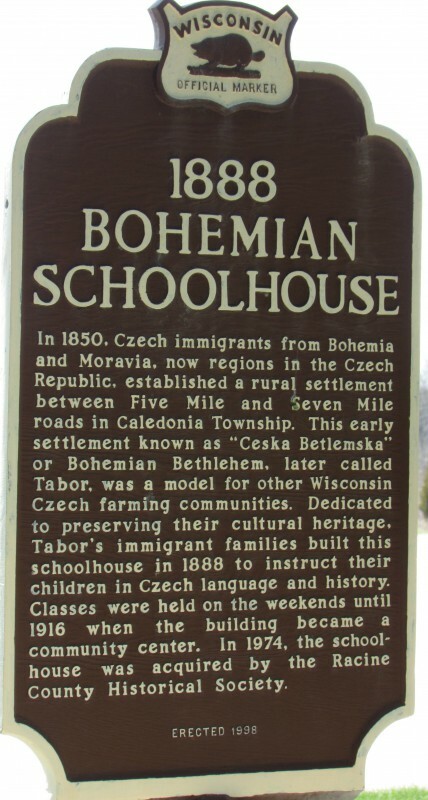 At Windpoint we visited a Bohemian Schoolhouse, a large part of Al’s heritage. 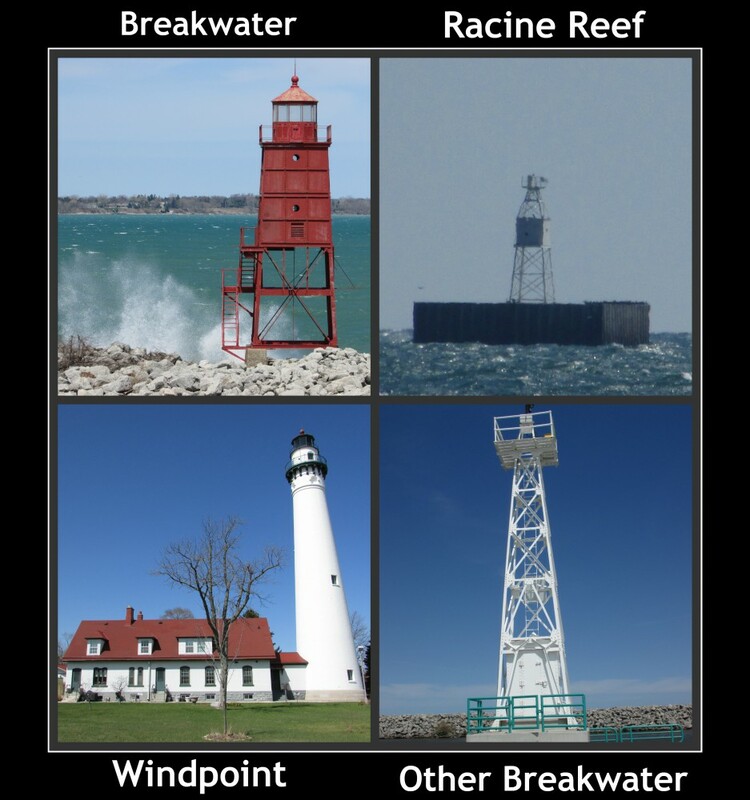 There is so much to see and do in Racine, well worth a visit. One day is not enough, so we spent the night at Knight’s Inn. It was economical to stay there and quiet. We hope you enjoy your visit to Racine!